In January, we started the pilot project of the LISTA Initiative with funding from OEA. 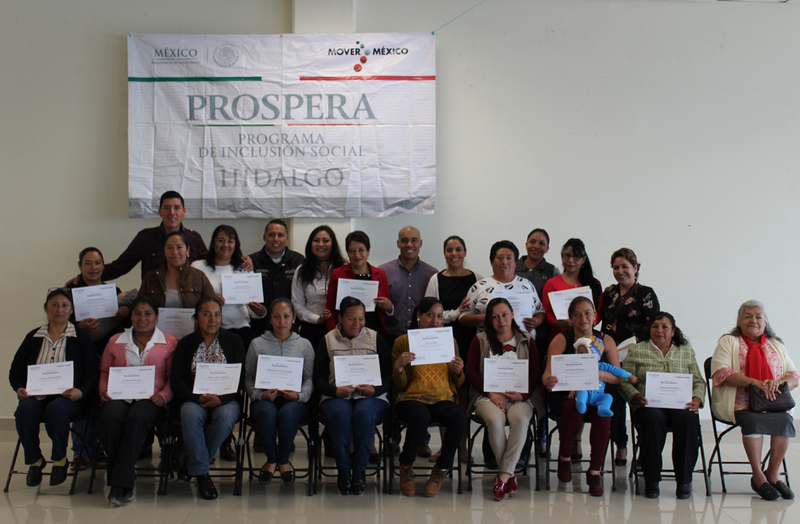 The objective was to reach 1,000 households, all recipients of the Conditional Cash Transfer program PROSPERA in four municipalities of Mexico: Huamantla, Tulancingo, Querétaro and Puebla. By the end of the pilot project, 1,480 users were reached, far exceeding our target and generating a positive impact for hundreds of households, who now have financial capabilities that can help them out of their situations of poverty. Luz María Hernández’s experience with LISTA illustrates the efficacy of the Initiative. She is a trainer of LISTA in the municipality of Puebla and drew on the module called “Cuentas claras” (“Transparent accounts”) which taught her how to set different goals for her budget. To do this, she bought four piggy banks and assigned different objectives for each one of them; additionally, she bought two money boxes for her daughter’s needs and goals. Now, they both have a clearer view of their expenses and their budget. 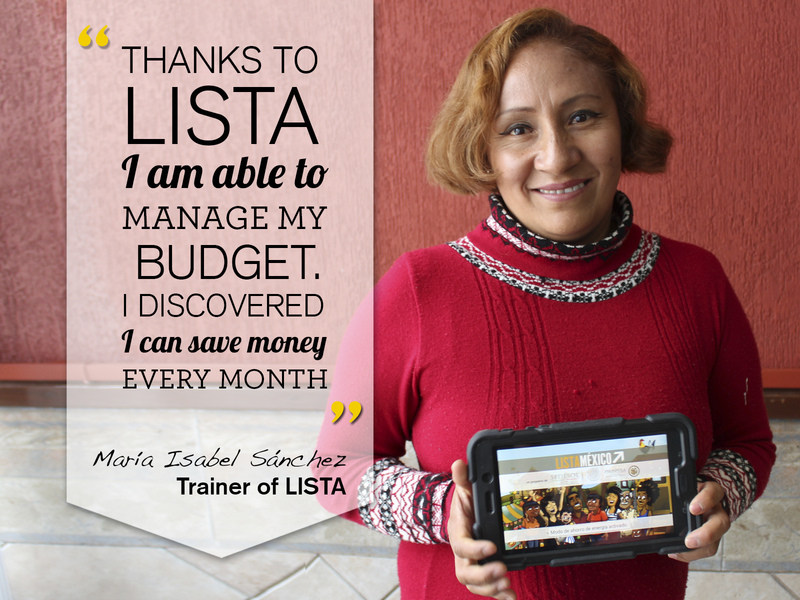 Among the tools provided by the LISTA Initiative, there is a notebook that can be used as a budgeting tool. 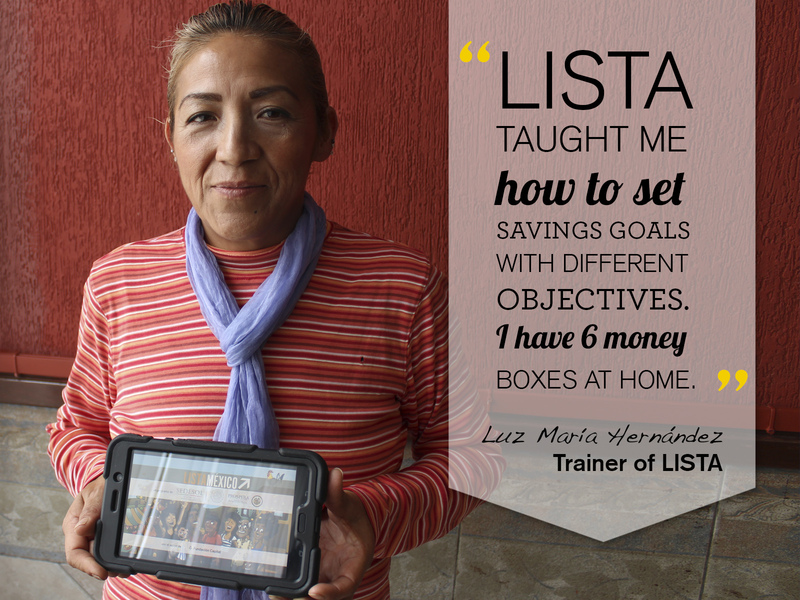 María Isabel Sánchez, trainer of LISTA from the municipality of Puebla, found it to be a useful ally when it helped her discover that, with a bit of organization of her budget, she could be perfectly capable of saving every month. Rosa María Pérez gave us another story of success. She is a trainer of LISTA in the municipality of Puebla. LISTA showed her the importance of organization and community building. 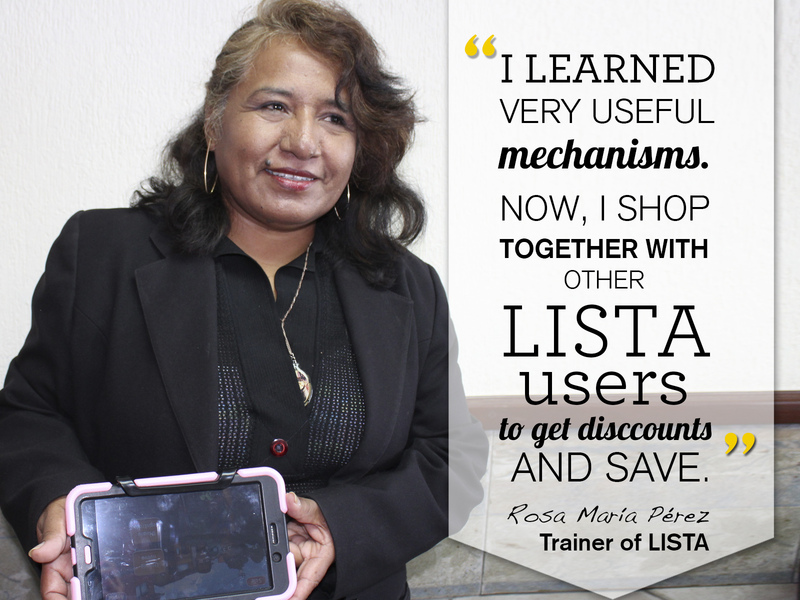 She invited some other trainers of LISTA to shop together in the central market because she discovered that joint purchases are a good mechanism for saving. In this way, all of them benefit from this joint activity and they tie knots. Concept evaluations: in this stage a content validation was carried out. The results helped to strengthen the financial education program, and to adapt the content to the target population. Financial Education Program Design: based on the analysis of results of the evaluation of concepts we designed and developed contents that are now part of the app LISTA in Mexico. Implementation: this phase was carried out during eight weeks in July and August. We provided 64 trainers leaders of the program PROSPERA with a digital tablet containing the financial education program LISTA. They later shared these tablets in their communities, with an original goal to reach between 22 and 25 women each. Evaluation: the quantitative and qualitative evaluation of the pilot program was financed by IDRC. The qualitative evaluation used a methodology based on focus groups to reveal difficulties and opportunities for the subsequent scaling-up of the initiative. For the quantitative evaluation, we took the baseline and the start line of 350 recipients to calculate the results of the financial education program. These results showed improvements in the educational capabilities of the participants. The behavioural change was also an evidence of knowledge assimilation about the different subjects provided in the app. LISTA strengthens the support the recipients get from PROSPERA and its responsibilities. The growth of the LISTA Initiative is made possible thanks to the project “Scaling up Digital Solutions to Financial Inclusion”. The project is carried out with funding from the Innovation Investment Alliance, a partnership between Skoll Foundation and USAID, with support from Mercy Corps.